THANK YOU SUE PEACOCK FOR THE GIFT SUBSCRIPTION TO MOTHER EARTH NEWS! 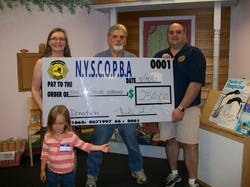 sponsoring activities for Preschool Story Hour and the Summer Reading Program. Program to receive a free book. THANK YOU FOR YOUR HARD WORK AND FUNDRAISING IN SUPPORT OF OUR LIBRARY. THIS YEAR'S PLANT SALE AND BOOK SALE WERE A GREAT SUCCESS. WE APPRECIATE YOU!